Photographer behind record-cracking Instagram egg comments on his art: "Egg is just an egg"
It is 2019 and our most prominent celebrity is now a humble egg. Having defeated Kylie Jenner’s Instagram record following a viral campaign to rack up a ridiculous number of likes, we now live beneath the shadow not only of powerful, rich humans, but of a simple stock photo of breakfast food, too. 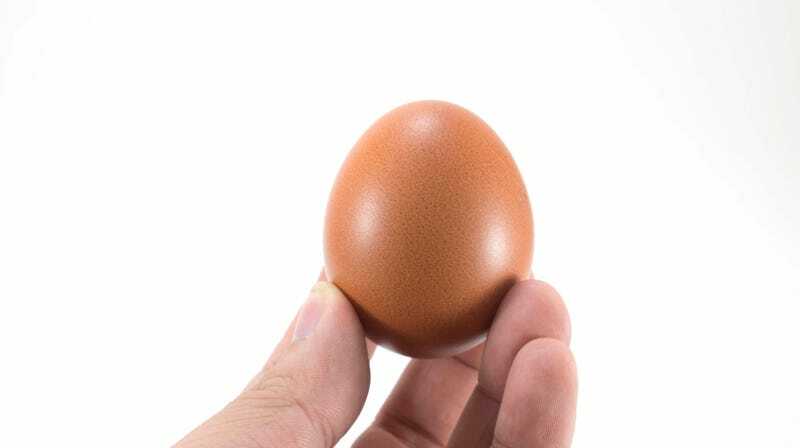 Determined to learn more about the global icon, Insider has done us all the great good service of tracking down the artist responsible for bringing us the extremely powerful egg photo to hear what he thinks about all the eggcitement surrounding his work. Platanov, too concerned with his craft to waste time on social media, learned about his creation’s Jenner-smashing success only after he was told that it had broken her previously held Instagram record. Now that the egg has achieved global fame, though, Platanov is quick to make something clear: the purpose of the egg photo is to show a simple, everyday kind of egg and nothing else. No, the egg’s beauty lies in its clarity of purpose. Today in actual good news: Kinder Eggs are now (legally) available in the U.S.